Parents who are aware their child is having a difficult time with reading, mathematics, written expression or other aspects of school work might suspect that the child has a learning disability (LD), also known as specific learning disabilities, and may be in need of special education services. Learning disabilities are caused by a disorder in how information is received, processed, or communicated within the brain and affect each individual differently. A learning disability can cause an individual to have difficulty in specific areas of learning, including reading, writing, and mathematics. In addition, individuals with LD may have difficulty with gross motor or fine motor coordination or with social interaction. Learning disabilities can affect children and adults and impact school, family, workplace and community life. 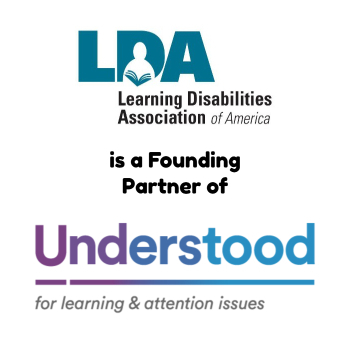 For more information on LD, please see the LDA Position Statement What are Learning Disabilities? What are your legal rights to an evaluation? As a parent, guardian or advocate, you have a legal right to request that your public school evaluate your child for special education. Federal law, the Individuals with Disabilities Education Act as amended in 2004 (IDEA), gives you that legal right. States, through local school districts, must “identify, locate, and evaluate every child who may have a disability requiring special education services.” This is called “Child Find.” When there is suspicion that a child has a disability, parents and educators have a responsibility and a right to request a full, individual, comprehensive, multi-disciplinary evaluation. Some states will not consider the parent’s letter as sufficient permission to evaluate. Instead, the state may require the parent to sign the appropriate school district form before considering an evaluation. The date of the parent’s signature on the school district form is the date used to establish the evaluation timeframe. My child (first and last name) is having a difficult time learning. I am requesting that my child be evaluated for special education services. (Child’s name) is a ___ grader in Ms./Mrs./Mr. (teacher’s name) classroom at ______________School. I understand that any information collected during current interventions with (child’s first name) will be completed and a meeting date will be set within the timeline as required by federal law. My signature on this letter gives my consent for my child’s evaluation to begin. I look forward to hearing from you. I am available by phone (name the days and times). What is Response to Intervention (RTI) and how is it used in determining whether a child has a specific learning disability? Response to Intervention, often called RTI, is a general education pre-referral process to help children who are having difficulty learning and achieving at grade level. RTI is designed to give these students additional academic support before the school district determines if they should be referred for a comprehensive special education evaluation. In addition to a comprehensive evaluation, IDEA states: “In determining whether a child has a specific learning disability, a local educational agency may use a process that determines if the child responds to scientific, research-based intervention as a part of the evaluation procedures…” See 34CFR §300.307(a)(2). IDEA does not require the use of RTI but says that a local school district may use RTI as “part” of the process. For more information on RTI, please see the LDA Information Sheet on RTI. Do all states and school districts have the same policies for implementing RTI and conducting special education evaluations? Every State has established its own policies, and many school districts within each State may also have different procedures. Many States and local school districts require a pre-referral process. While some schools and some States have required the use of RTI for students with possible learning disabilities, others are requiring RTI for students suspected of having any disability. Is there a limit on how long a child might receive interventions under an RTI process? There are no time lines in IDEA regarding how long children should receive these interventions. The first tier interventions may be used with the entire class (universal interventions), while more intensive interventions are targeted toward students struggling to learn. The number of weeks to complete the interventions may vary widely. Is there a right to an evaluation if the child is receiving RTI interventions? Yes. Regardless of where the child is in an RTI process, the IDEA regulations give parents the right to request an evaluation for special education services at any time. The law also says that information from an RTI process must be collected before the end of the timeframe set in place by the date of the parent’s consent for a special education evaluation. Is there a time frame for completion of the evaluation? IDEA sets a timeframe of 60 days. However, each state may choose to set its own timeframe. For example, in North Carolina the time frame is 90 days from the time the school district receives the parent’s written request. In Florida the timeframe is 60 working days. Check with the Division of Special Education in the state department of education or public instruction to find out the timeline. 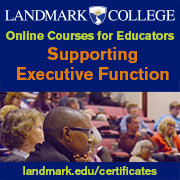 What should a comprehensive evaluation include? Information from an RTI process alone does not and cannot identify a child as having a learning disability. A comprehensive evaluation for a child who is suspected of having a specific learning disability may include data collected by the teacher during RTI progress monitoring process; but most importantly, a comprehensive evaluation should include information from educational and psychological assessments showing patterns of strengths and weaknesses and include input from parents, teachers and school psychologists. The position of the Learning Disabilities Association of America (LDA) is that RTI should never be used to delay an evaluation for special education, deny evaluations, or place students in special education without the benefit of a comprehensive evaluation. RTI should never be used as the only assessment to determine identification and eligibility for services. RTI can never take the place of a comprehensive multi-disciplinary evaluation that delves into the specific areas of concern interfering with the child’s learning. What is the position of the U.S. Department of Education regarding a parent’s right to request an evaluation for children involved in an RTI process? Do parents have rights if the school district refuses to do an evaluation or, after evaluation, concludes the child is not eligible for special education services? If the school district refuses to do an evaluation or, after evaluating the child, concludes the child is not eligible for special education services under IDEA, parents have other rights. If they are refused an evaluation or disagree with the evaluation, parents may be entitled to an independent evaluation at the school district’s expense. Parents also have the option to pay for an evaluation by a professional of their choice. As part of the dispute resolution process parents have the right to request mediation, filing of a state complaint, or filing for a due process hearing. When using these processes, a parent’s case may be stronger when informal methods of conflict resolution have been attempted. IDEA requires school systems to have procedures in place to assist parents in resolving disputes through mediation, a voluntary process. Mediation allows parents and school districts to explain their positions to an impartial mediator who facilitates the discussion and assists the parties in agreeing upon legally binding solutions to the conflict. The costs of mediation are paid for by the state education agency (SEA). The state complaint process requires a parent to file a letter with the state education agency outlining the violation of Part B of IDEA or its implementing regulations. A copy of the complaint must be furnished to the school district at the time the complaint is file d with the SEA if the violation occurred in the school district. IDEA provides for the right to challenge a school district’s decision through a due process proceeding. A parent may request a form from the SEA to file an IDEA due process complaint. The due process proceeding has a number of steps. First, there may be a meeting known as a resolution session, which offers the opportunity to discuss and resolve the issues. Parents and the school district may agree to waive the resolution session and use the mediation process instead. If a resolution is reached the parties will sign a legally binding agreement. If not, the next step is to convene an impartial due process hearing. The hearing process involves the right to be represented by an attorney for which the parent must pay, subpoena witnesses, present evidence, and cross examine witnesses. The hearing officer makes a decision. If the parent disputes the decision of the hearing officer, the parent may proceed to court with a civil suit or to an administrative review (required in some states) and then to court. Finally, even if the child is not eligible for special education services under IDEA, the child may be protected by other laws: Section 504 of the Rehabilitation Act of 1973 and the Americans with Disabilities Act of 1990. 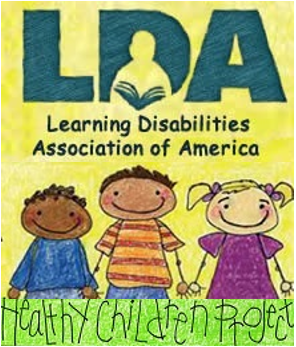 LDA advocates for identifying students with learning disabilities through comprehensive evaluations.